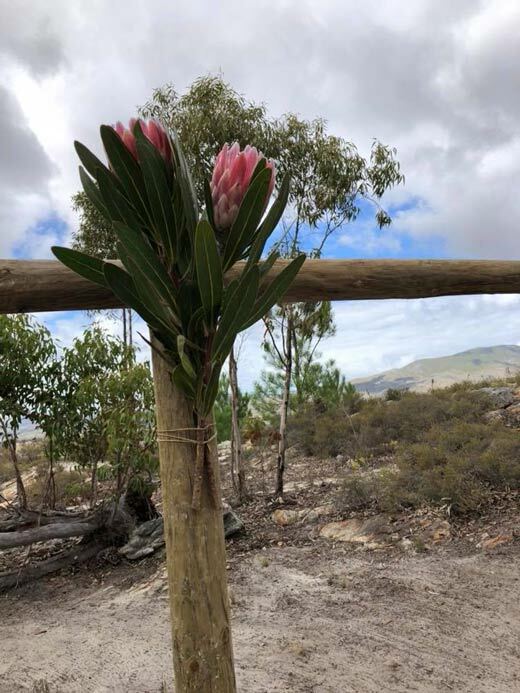 See the map and location. 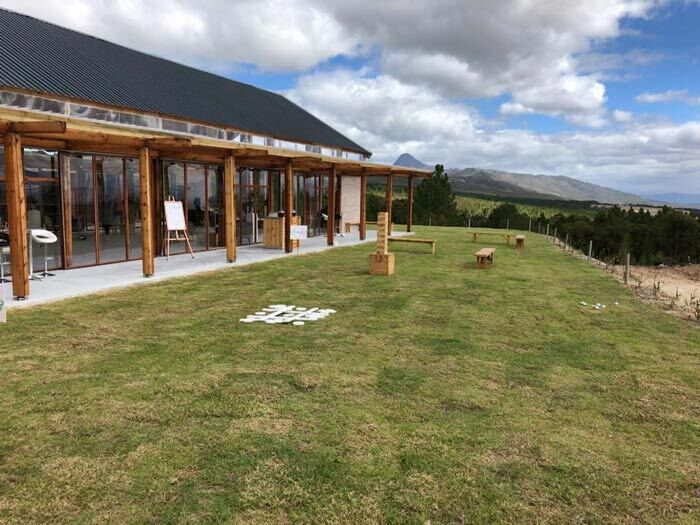 This breathtakingly magnificent, minimalist modern structure situated at the top of Shaw’s Mountain Pass, is perfectly built at the entrance to the beautiful Hemel & Aarde (Heaven & Earth) Valley. 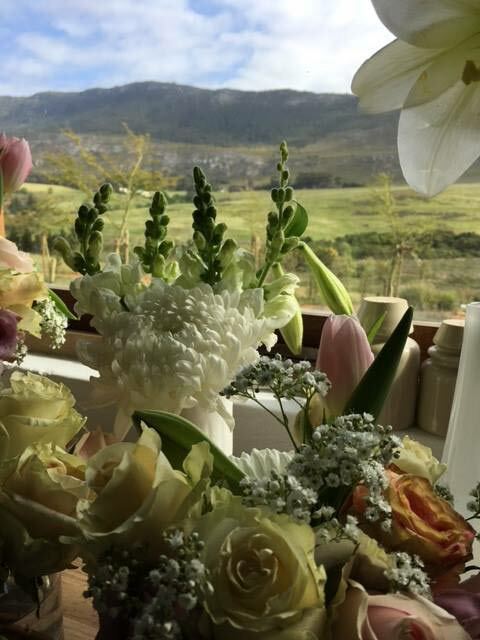 Known for its wine, the Hemel & Aarde Valley is one of the most sought-after areas in South Africa for weddings and special memory dates, due to its spectacular natural scenery and its proximity to Cape Town. 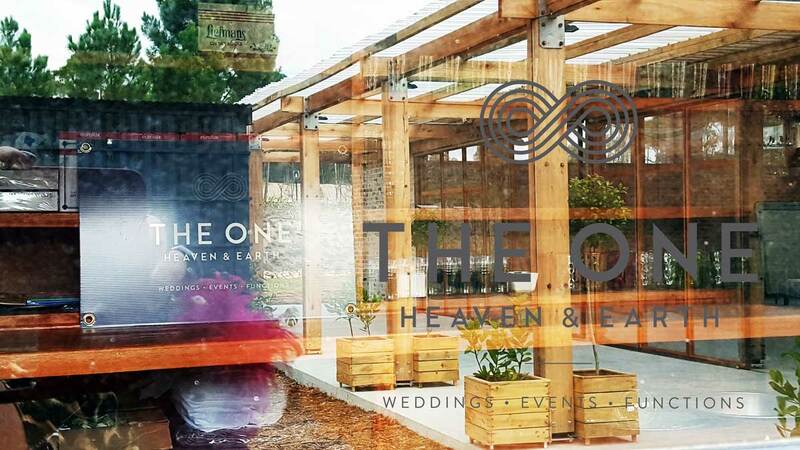 THE ONE Hemel and Aarde Venue will ease itself into your heart! 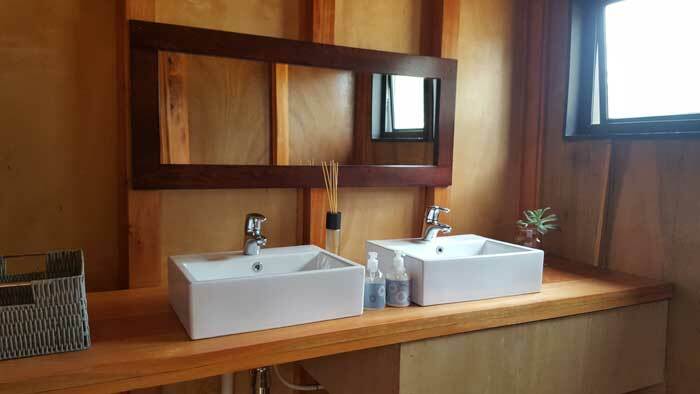 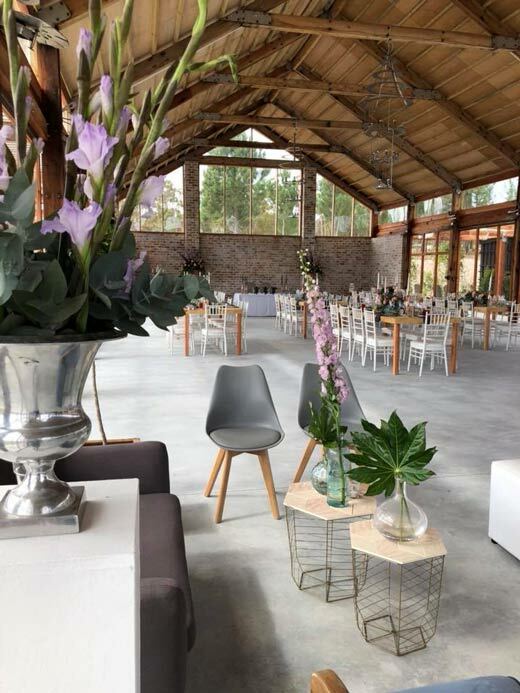 It is beautiful, modern, minimalist, rustic and romantic! 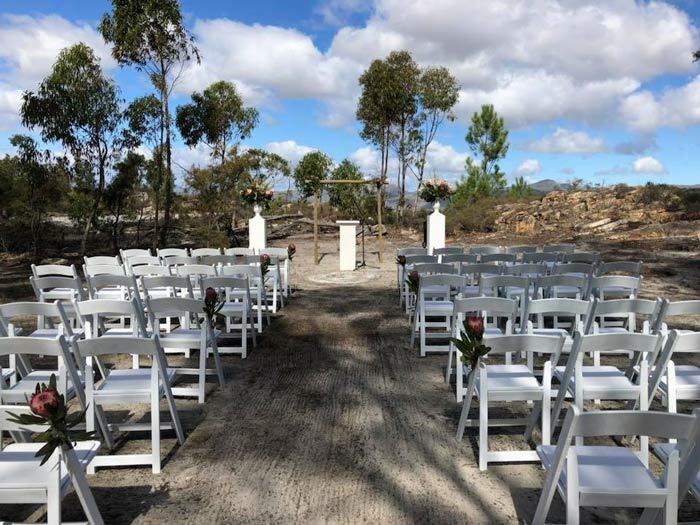 All the boxes ticked! 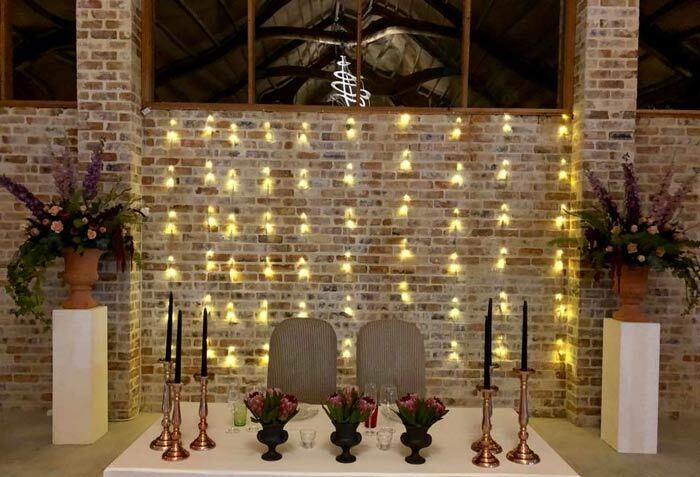 See the latest events and photos on Facebook. 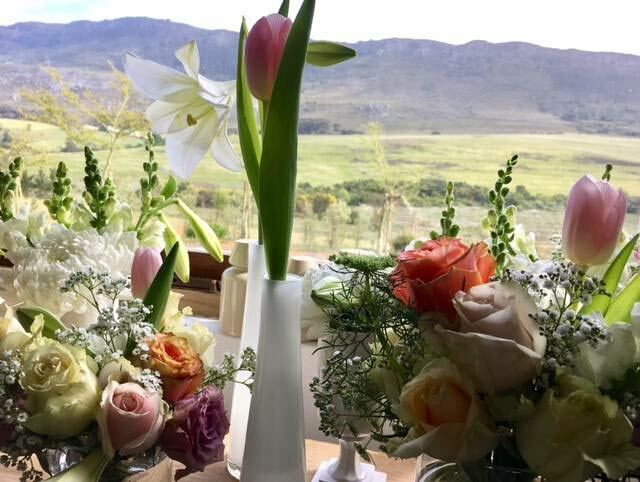 Surrounded by nature reserves and farmland, The ONE is the perfect venue for that ONE special day for ONE happy couple. 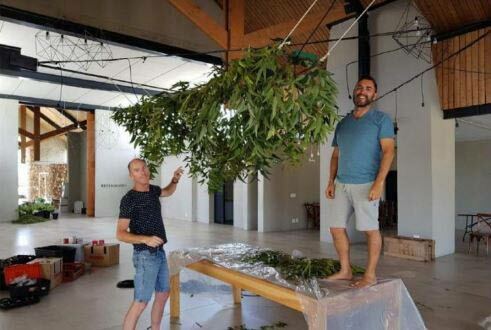 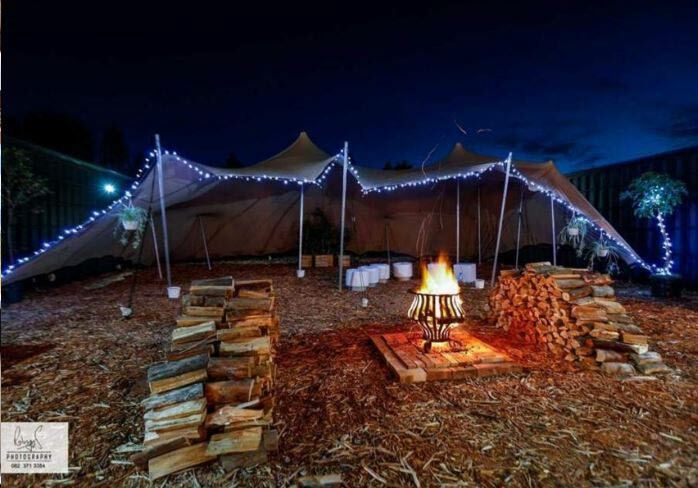 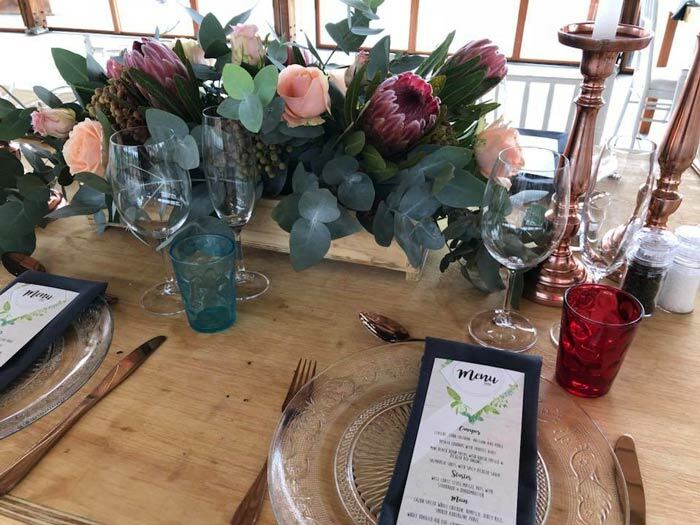 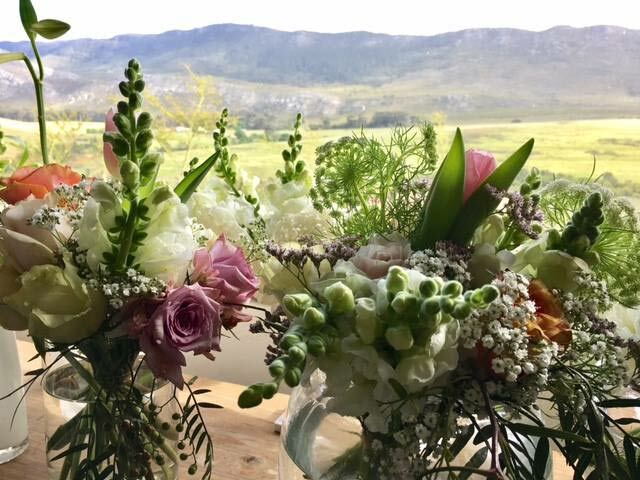 It offers panoramic vistas over the Overberg which creates a natural amphitheater of mountains cradling the venue in the arms of velvet Fynbos mountains. 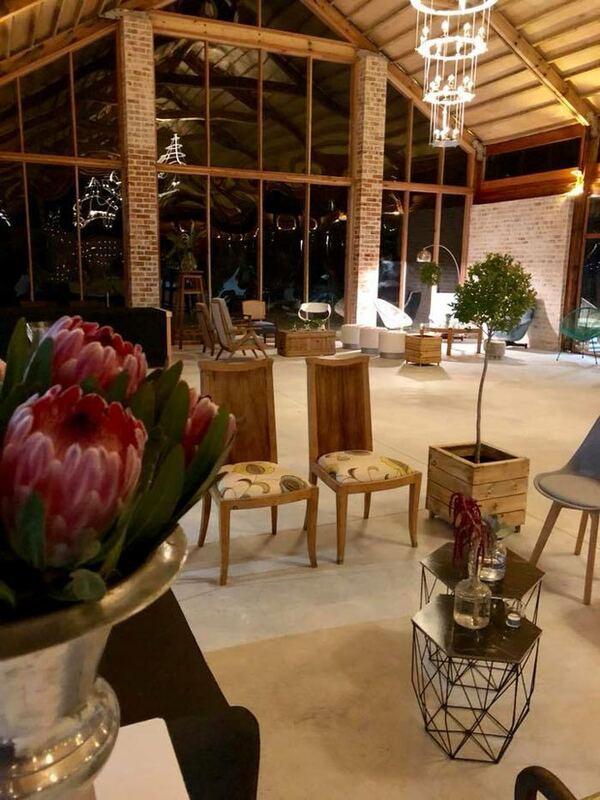 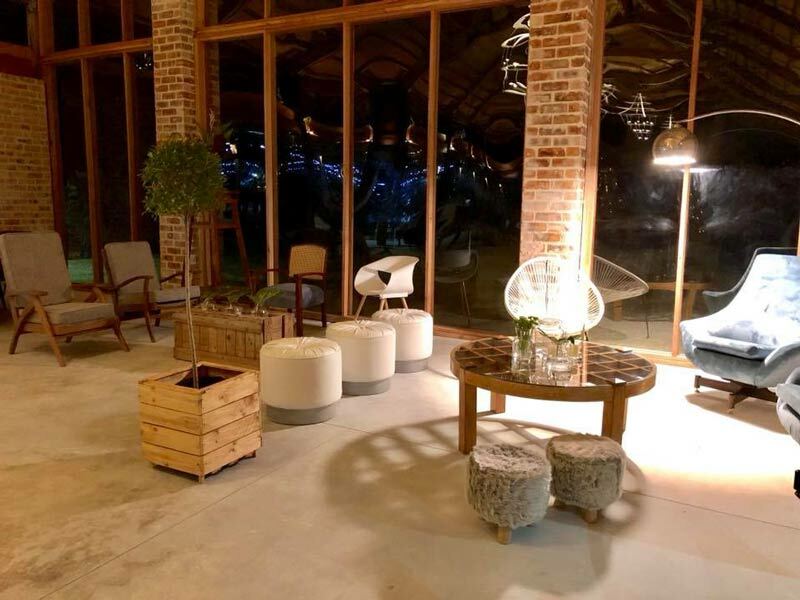 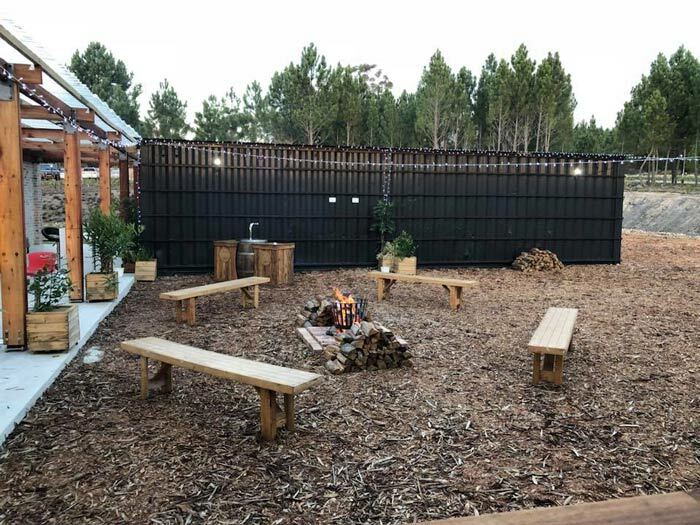 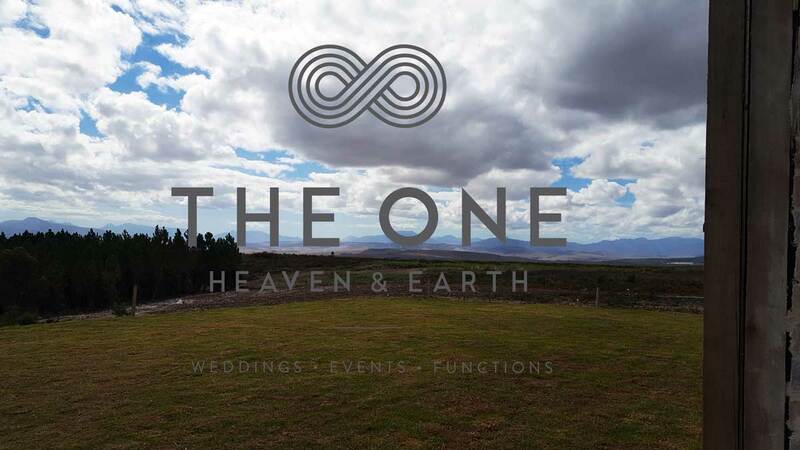 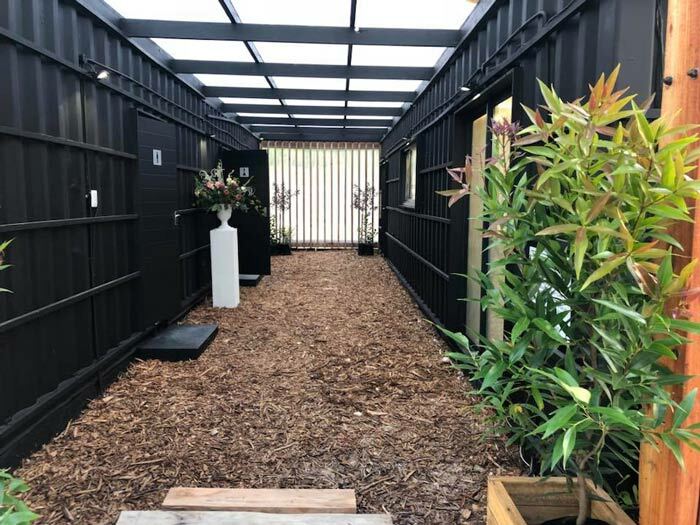 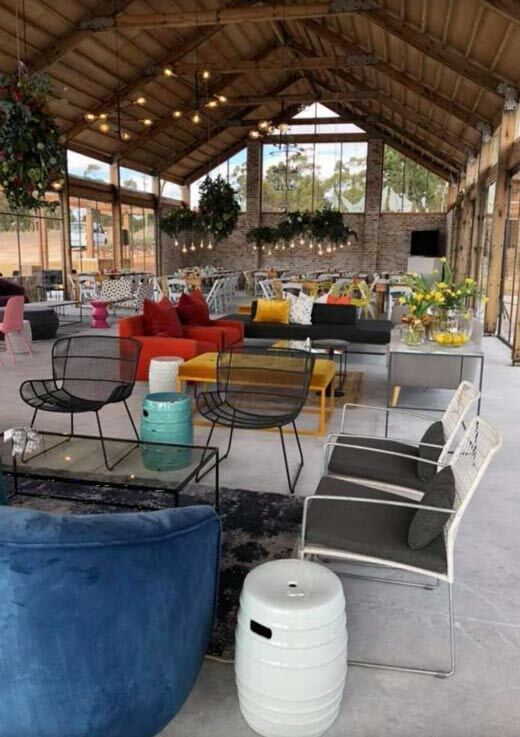 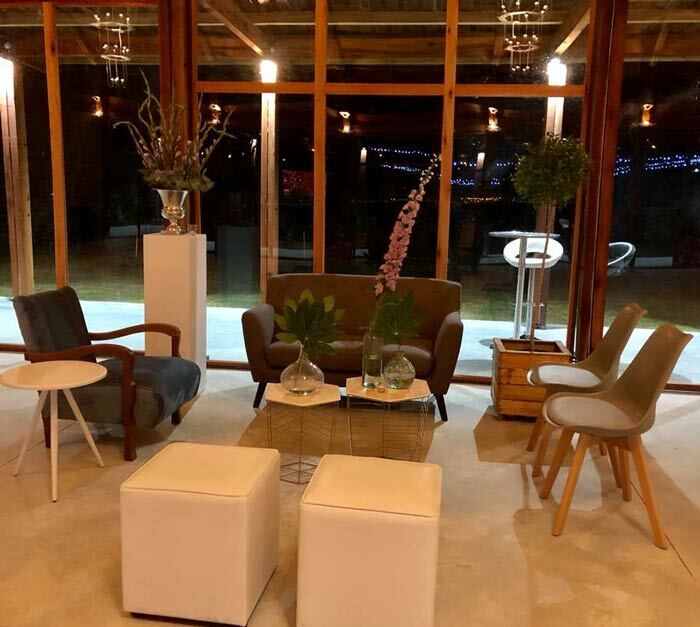 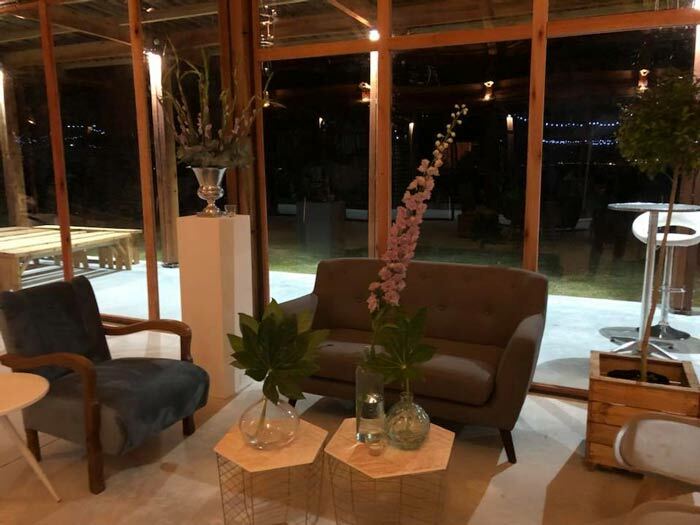 The ONE, an exclusive state-of- the-art venue, is conveniently located on Shaw’s Pass, halfway between Hermanus and Caledon, indeed offering easy access from Cape Town and the international airport. 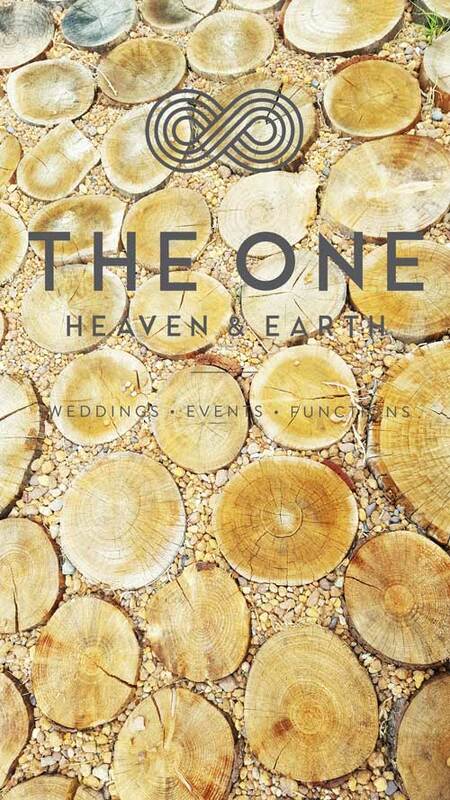 This little piece of paradise is the ONE place, the ONE choice and ONE time to celebrate your ONE union. 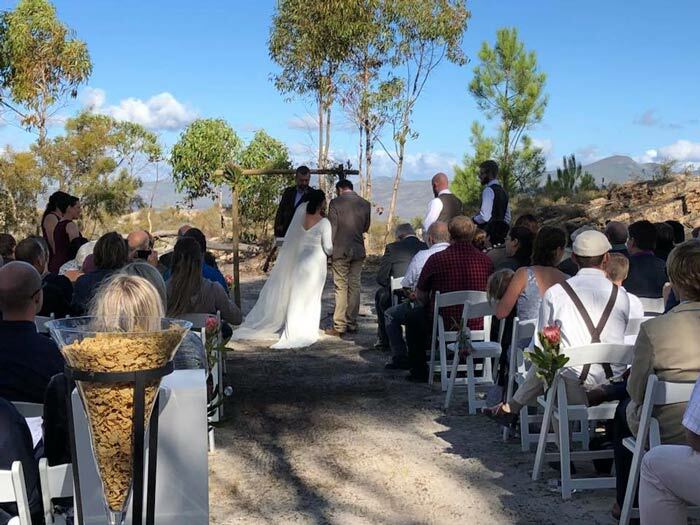 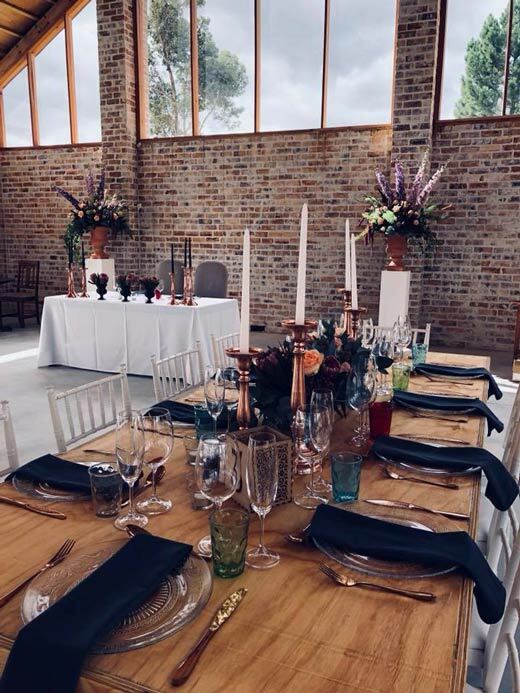 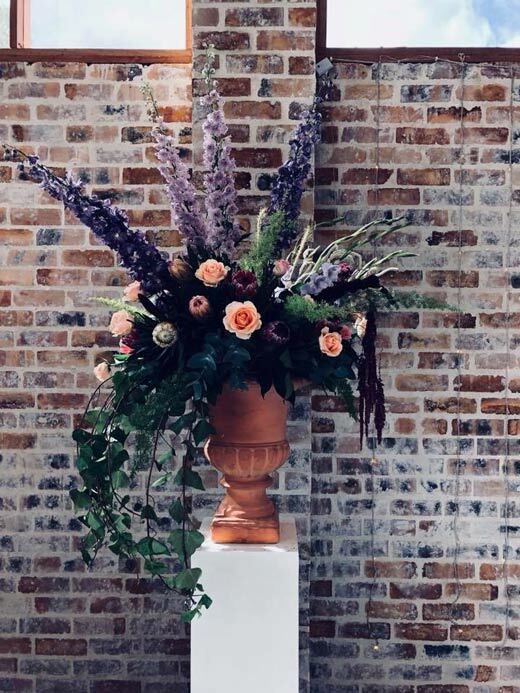 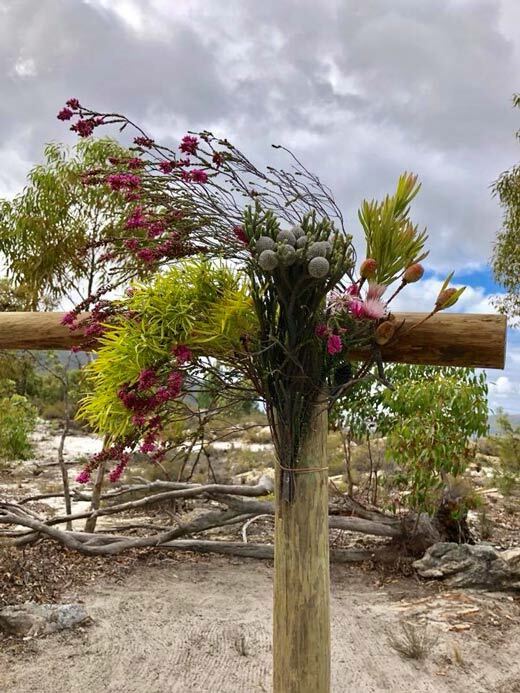 You can either have your ceremony on the green lawns overlooking the spectacular views of the Overberg or in the enchanted garden atrium facing the Babylon’s Tower mountains forming a scenic backdrop as the sun sets over the Overberg. 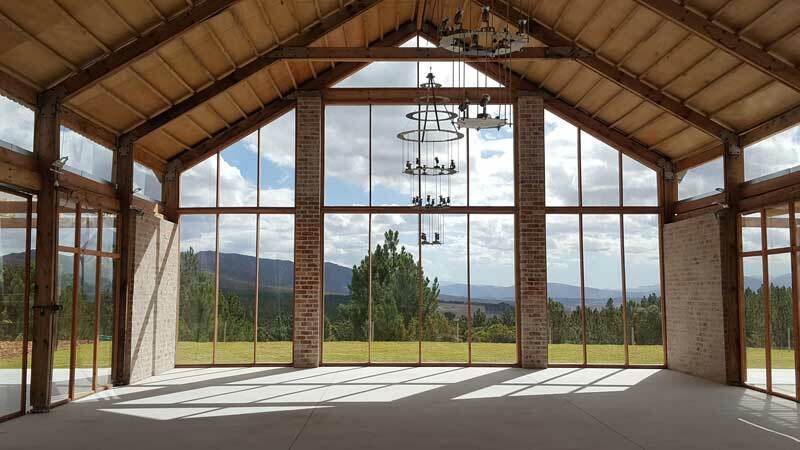 Another option is to set-up the ceremony in the dedicated ceremonial space in the pine forest next to the Glass House. 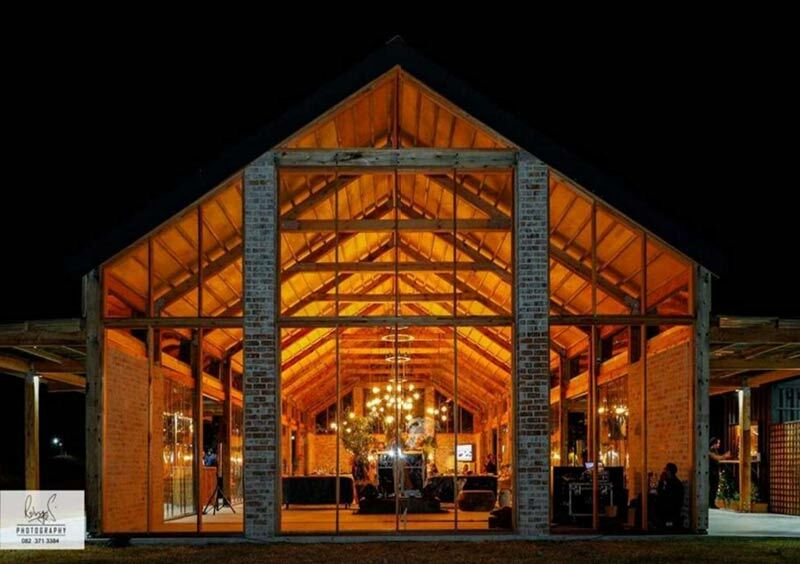 After the ceremony guests make their way to the unique Glass House. 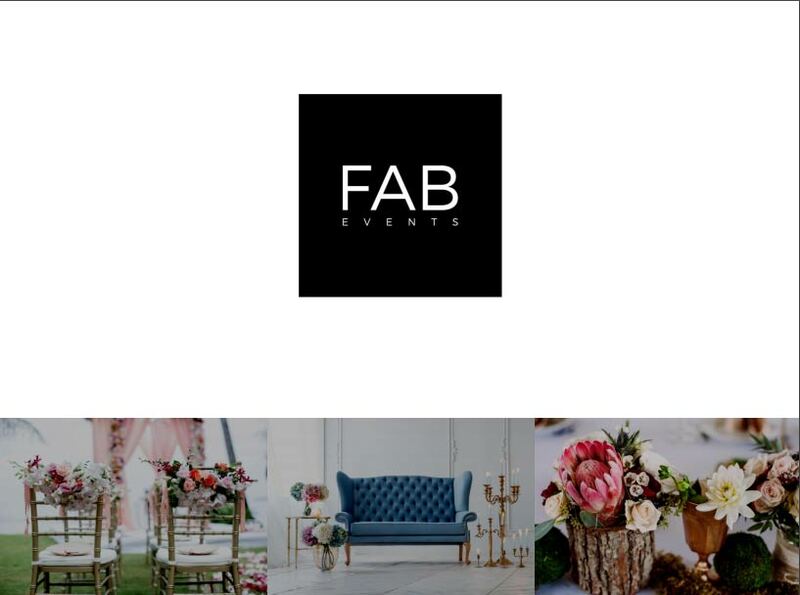 Here guests will be enter a space completed dedicated in making your wedding day dreams come true. 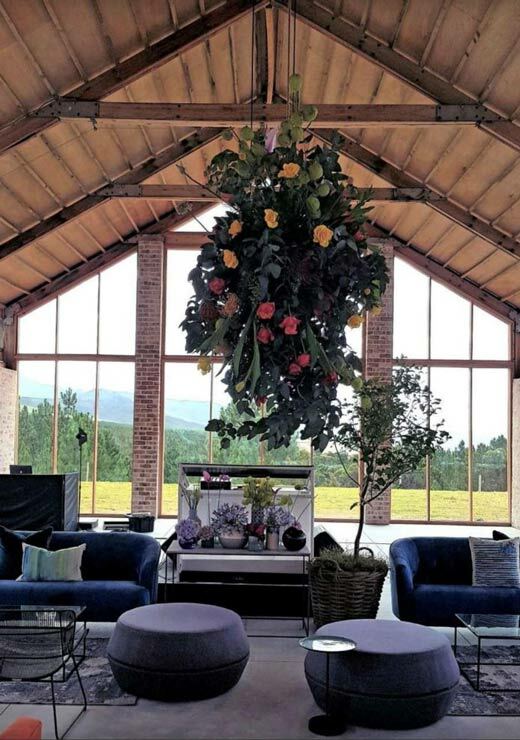 The high ceilings, timber trusses, and glass walling is enhanced with an exceptional crystal floor and innovative chandeliers completing the romantic setting. 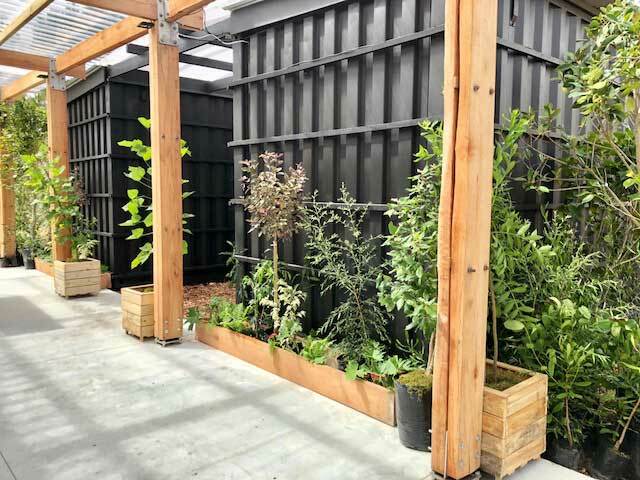 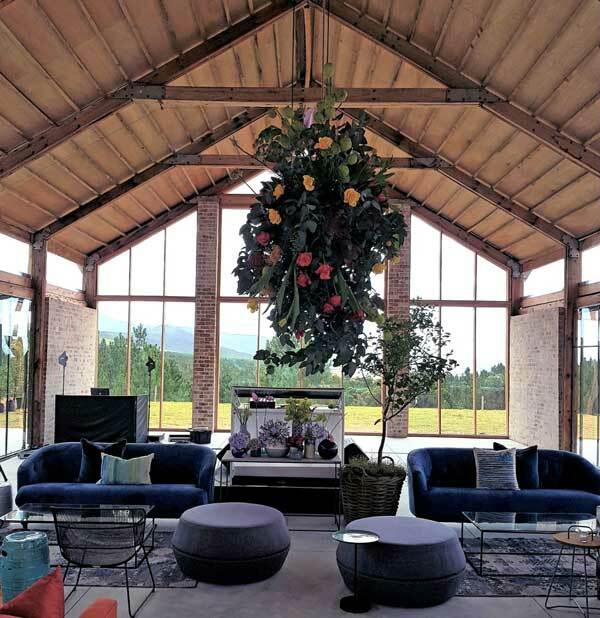 The Glass House will accommodate you and your guests for the evening, which includes a dance floor, and different lounging areas opening on all sides of the Glass House. 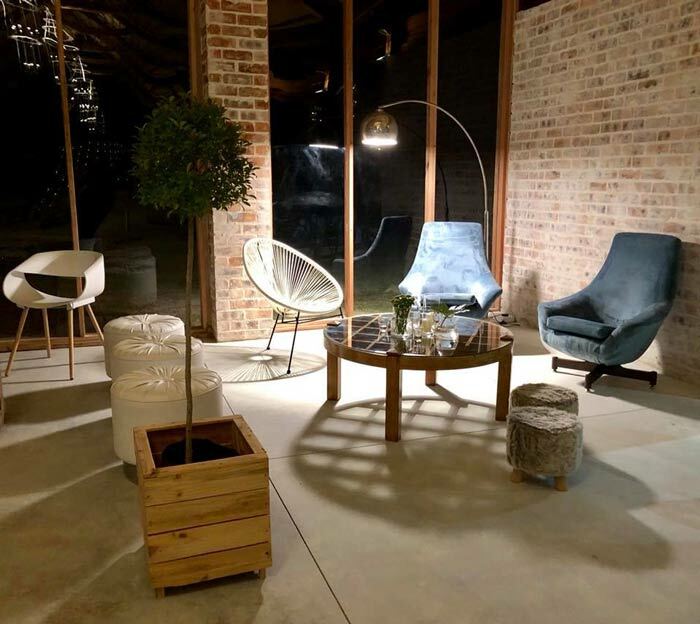 Fire pits, lounge pockets and beautiful lighting will light up the enchanted garden where guests can relax and catch up with old friends and family. 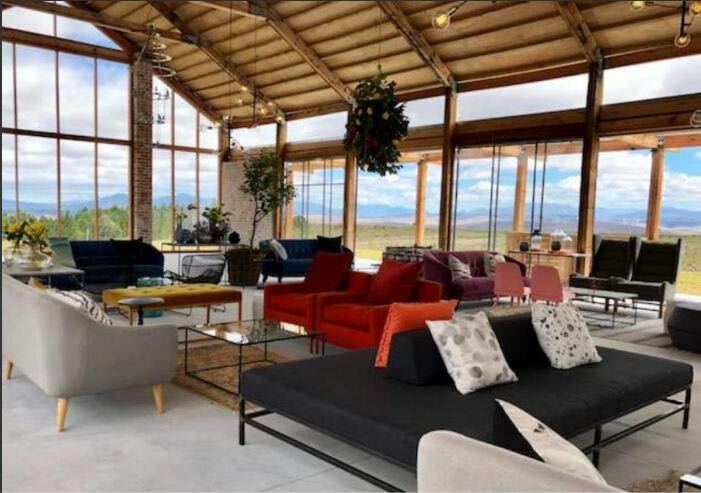 THE ONE accommodates a minimum of 60 guests and a maximum of 150 comfortably in the Glass House. 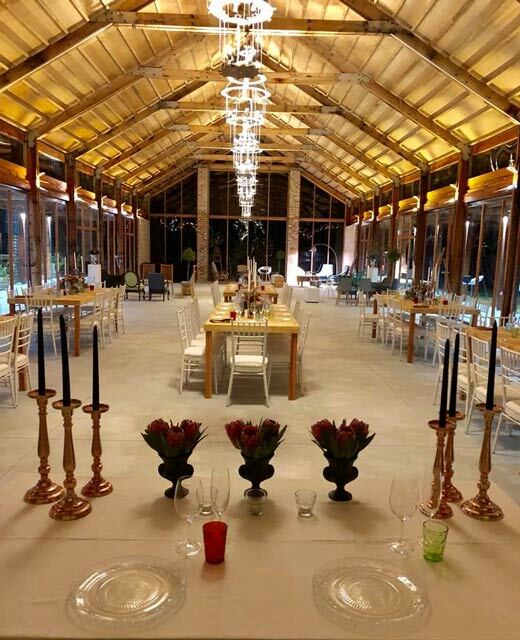 Besides weddings, this unique venue can be booked for conference, launches and corporate functions. 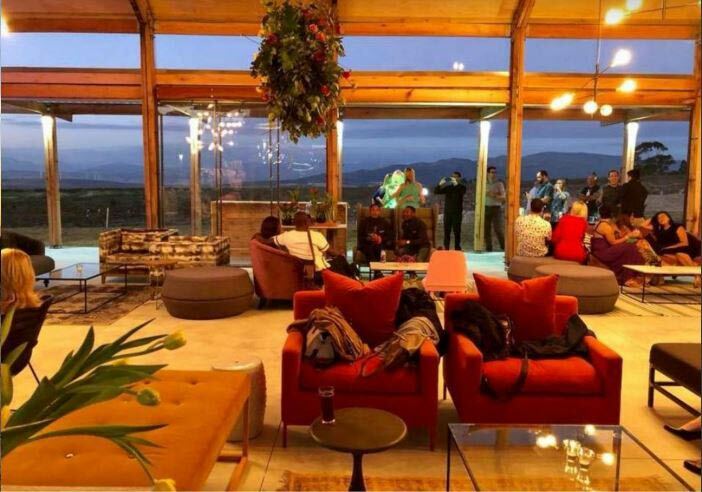 In addition it will also be available for private parties, music events, festivals and celebrations. 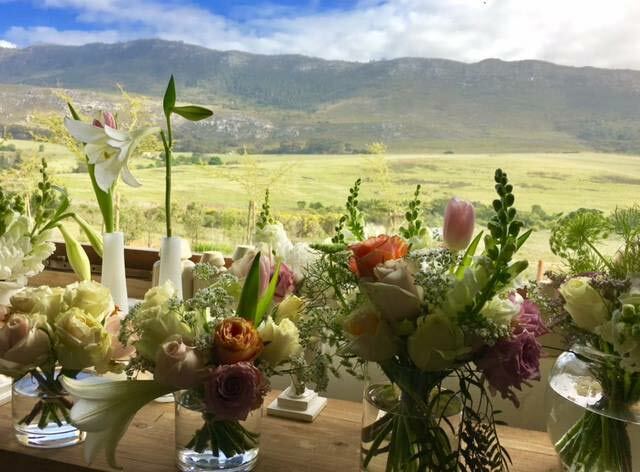 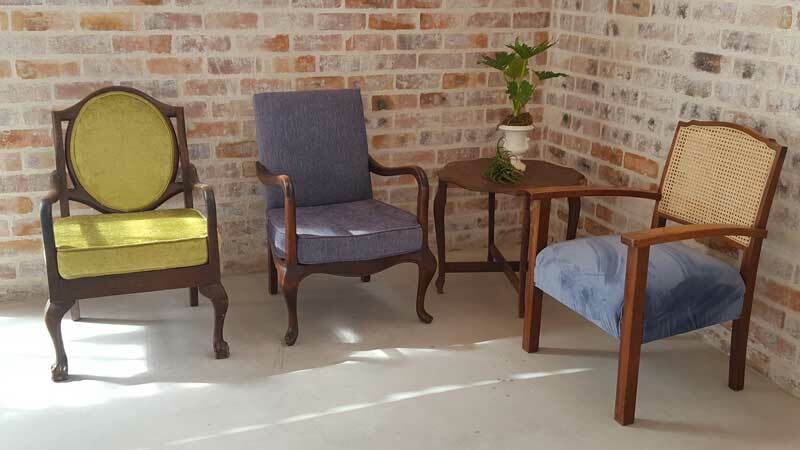 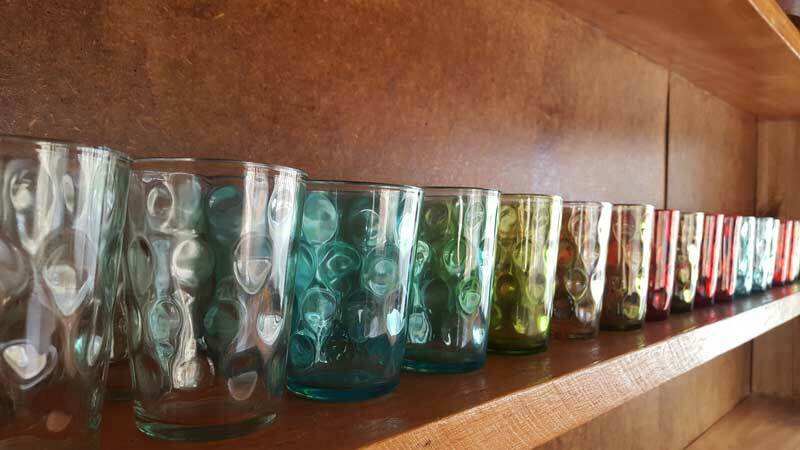 We are situated on the Hemel en Aarde Valley Road (R320) running between Hermanus and Caledon. 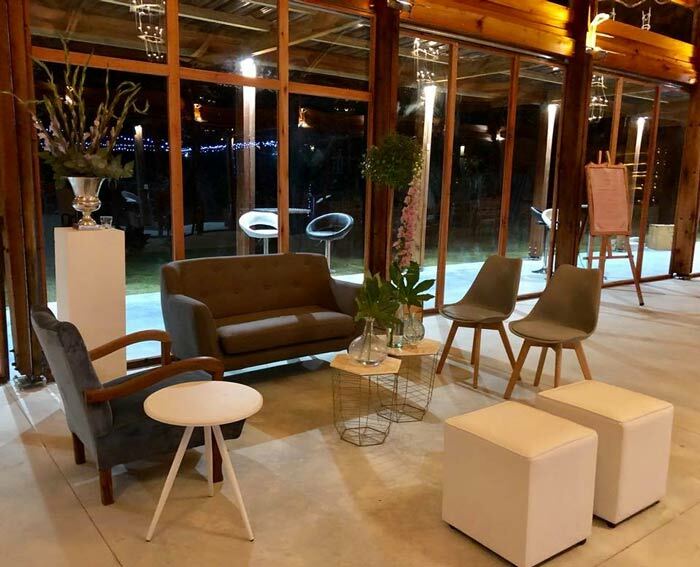 IT’S THE CREATION OF A STYLISH YET COMFORTABLE ENVIRONMENT. 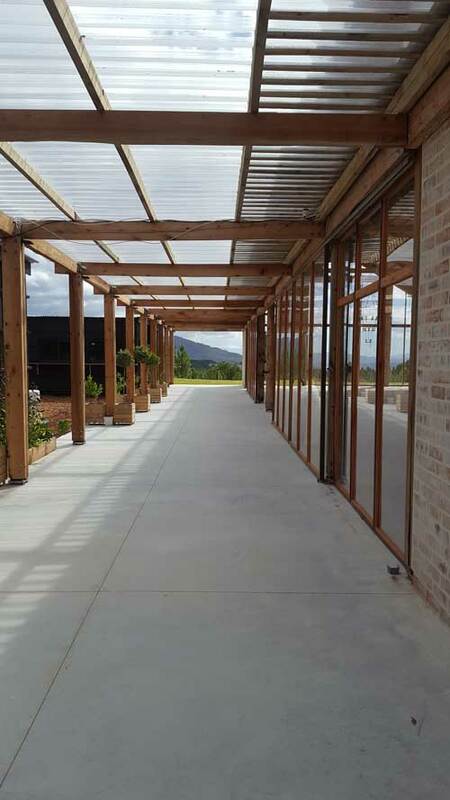 IT GENERATES A SENSE OF BELONGING AND BLESSED WELLBEING. 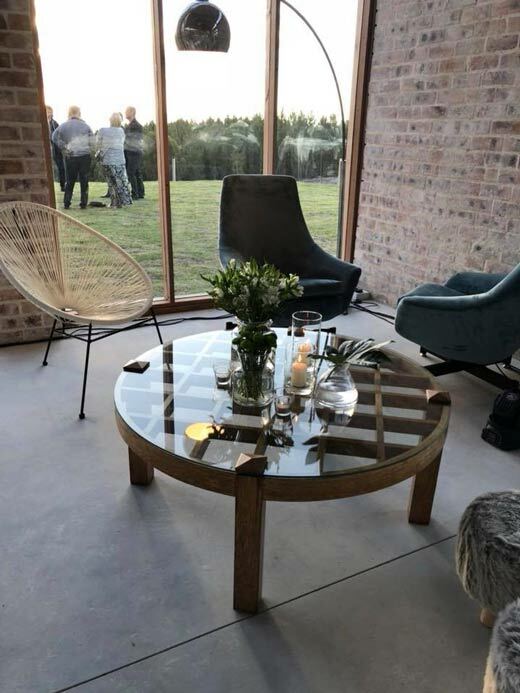 THE OPENPLAN SPACE OFFERS FLEXIBILITY WITH THE ADDED BONUS OF AN OUTSIDE AREA. 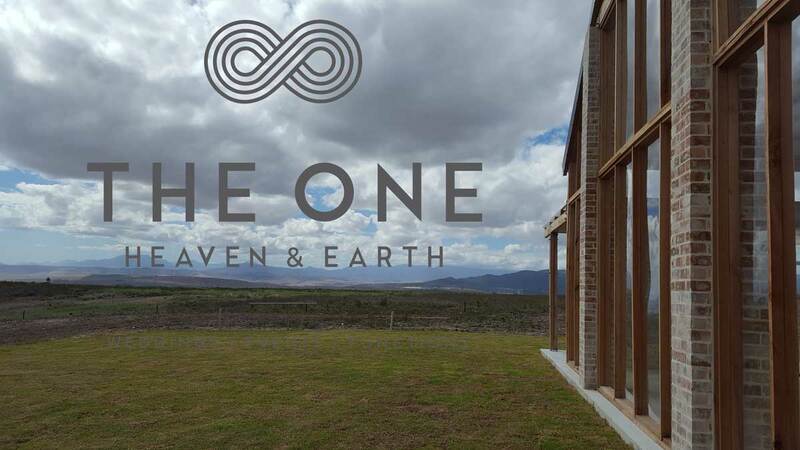 It’s a place where MOUNTAIN and SKY meet… Heaven & Earth.